​ GREGORY – Cheniere Energy Inc. announced full build ahead for a new liquified natural gas project in Gregory, the first new LNG plant in the United States since 2015. 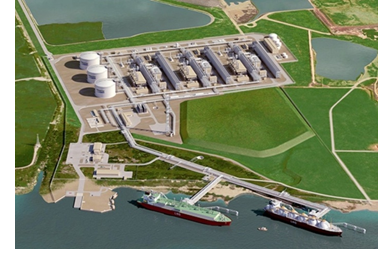 It is the third LNG plant at the Corpus Christi site. Construction began on the plant, also known as a train, in 2017. Two other trains at the plant, which operates in the Coastal Bend as Corpus Christi Liquefaction LLC, are expected to go online in 2019. Each train costs about $3 billion and takes around four years to complete. At least 1.2 metric tons per annum of the Train 3 output has been earmarked for China National Petroleum Corp. in a lease agreement signed in February.